Lawrence R. Blaty, M.D. - David S. Weingarden, M.D. & Associates, P.C. 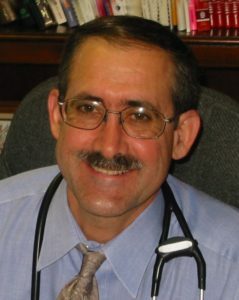 Dr. Lawrence R. Blaty, M.D. As a native of Michigan, Dr. Blaty graduated from the University of Michigan in 1982 with a Bachelor of Science with Honors in Biochemistry. Dr. Blaty continued on and was awarded a Doctorate of Medicine from the Wayne State University School of Medicine in 1986. Dr. Blaty temporarily left Michigan to complete his specialty training at Baylor University Medical Center and achieved Board Certification in Physical Medicine and Rehabilitation in 1990. Dr. Blaty went on to become the medical director of outpatient rehabilitation in Wichita Kansas, as well as a Clinical Assistant Professor at the University of Kansas, School of Medicine. After seven years of contributing to the well being of the citizens of Wichita Kansas, Dr. Blaty returned to Michigan to be close to family. Ever since then, Dr. Blaty has proudly been right here in Macomb County treating patients at St. Joseph Medical Center and in private practice since 1997. Dr. Blaty is married with four wonderful children and is an outdoor enthusiast. The family shares in many trips sailing, hiking, and camping. Starting in 1998, Dr. Blaty has raced in the annual Port Huron to Mackinaw Boat Race and continues participating in this annual event. He earned a first place flag in 2008.